Experience paradise on earth at Grand Park Kodhipparu, Maldives. 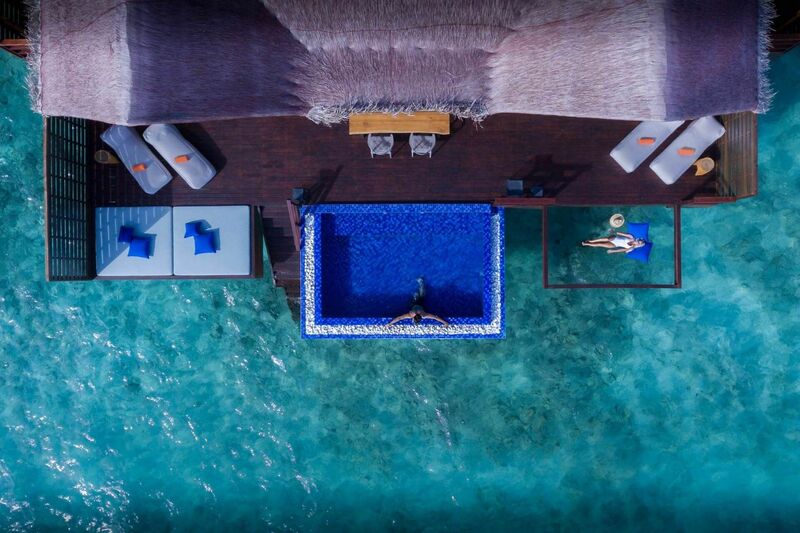 A luxurious one-island-one-resort destination featuring a collection of 120 idyllic beach-front pool villas, breathtaking overwater villas and spacious two-bedroom villas. Embark on a 360° barefoot island adventure and immerse in the tranquillity that nature has to offer. Soak up the sun by the infinity pool, delight in delectable cuisine at any of our 3 restaurants & bars or simply take in the splendour of the vast azure sea, home to a variety of colourful and exotic marine life. Just a mere 20 minutes’ speedboat ride from Male, barefoot luxury and the stunning beauty of Maldives awaits you. Experience a virtual journey into Grand Park Kodhipparu, Maldives, where you can encounter our villas and facilities from the comfort of your own space. Book your stay on our official website to enjoy exclusive privileges. Book direct with us from your mobile and enjoy additional 10% off our rates. Awarded with ‘Luxury Destination Spa’, ‘Luxury Spa Retreat’, and ‘Luxury Resort Spa’ in the Indian Ocean at World Luxury Spa Awards 2018, The Spa at Grand Park Kodhipparu, Maldives advocates of holistic, healthy and sustainable lifestyle ensures that you step out from our signature spa sessions feeling restored and revitalised. Stay with us from March to July 2019 for 4 nights or 7 nights and enjoy the most of your island getaway with our full board meal plan and the complimentary round-trip speedboat transfer. Package includes: A 4-night or 7-night stay in your selected villa (extension nights are available) Full board meal for two (breakfast, lunch & dinner) at The Edge, all day dining Round-trip shared speedboat transfer from Velana International airport for two Unlimited Wi-Fi throughout the resort Access to Beach Club facilities, Steam Room, Table Games, PlayStation and Gymnasium Book direct with us to avail the offer! For further assistance please contact us at rsvn.gpkd@parkhotelgroup.com. Take in the beauty and charm of Maldives in any of our 120 idyllic villas. Featuring traditional Maldivian elements and contemporary comforts, all our beach, ocean and lagoon villas come with spectacular sunrise or sunset views and 65 of them come with private pools. Luxury is to have the choice to bask in paradise the way you like it. With the ocean or lagoon water villas, unwind with the soothing sounds of the waves while lounging at your terrace or relaxing in the plunge pool, steps from the ocean – ready for you to explore the colourful marine life. If you prefer the sand and sea, the beach pool villas surrounded by lush greenery and just a stone’s throw from the shoreline while remaining close to the resort facilities. For the ultimate luxurious experience, our Grand Residences offer a dream vacation home-away-from-home with two bedrooms, an exclusive living room, inviting infinity pool with panoramic ocean views and outdoor private dining area. Enjoy your holidays to the fullest while staying at Grand Park Kodhipparu, one of the Maldives island resorts providing extraordinary experiences for the young & old alike.